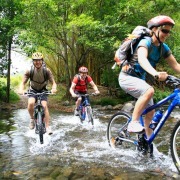 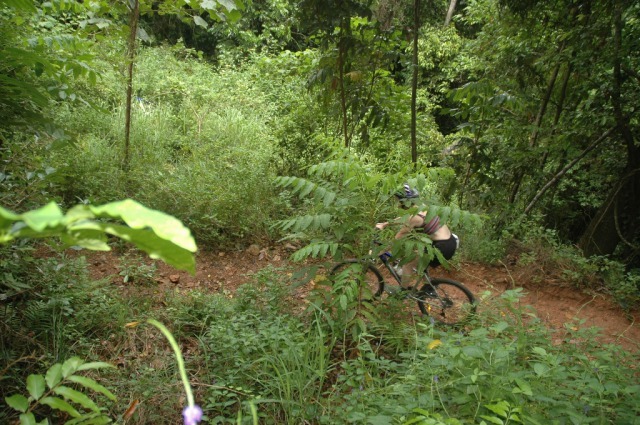 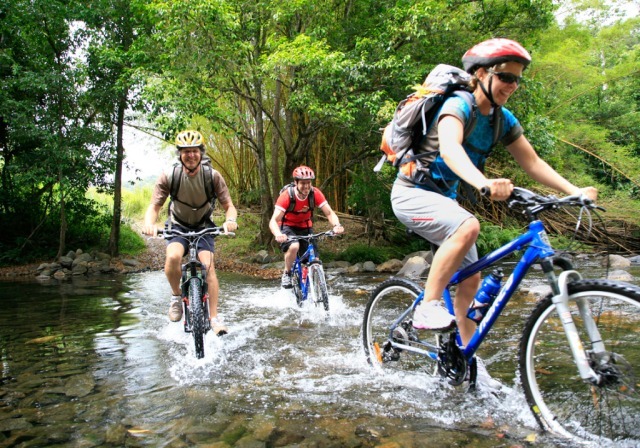 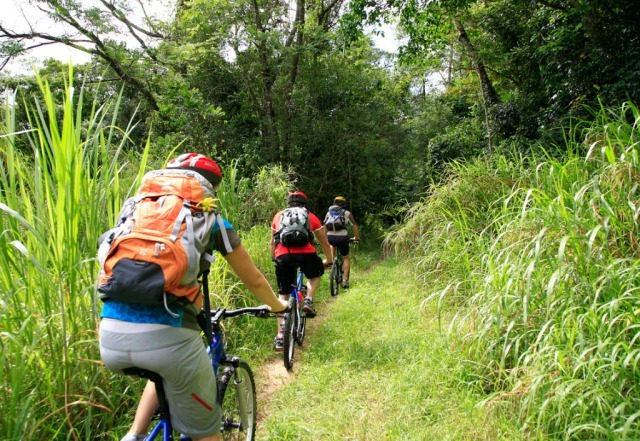 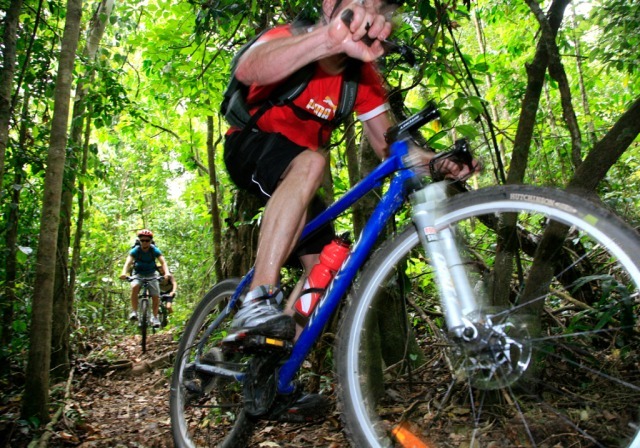 Join Dan as he takes you to the Mulgrave River Valley south of Cairns for a fun half day on a Grade 2/3 ride. 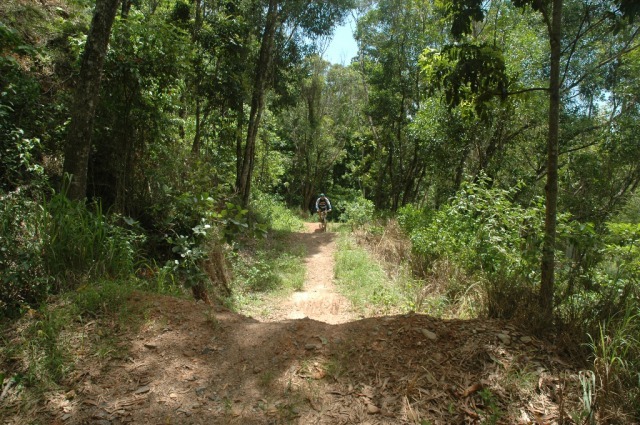 This area is renowned for its crystal clear running streams and lush jungle. 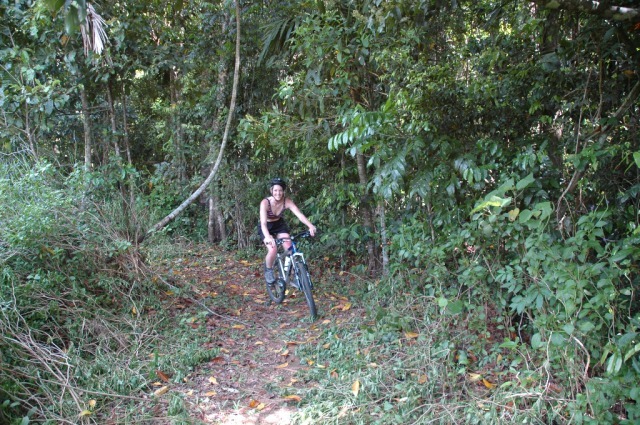 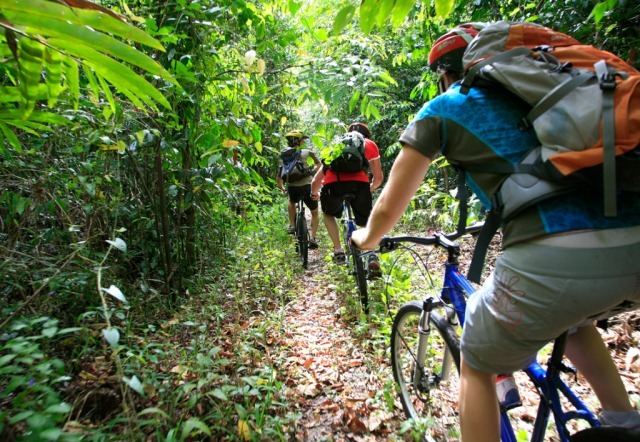 We follow the river to its source, progressing from sealed road to deep rainforest single track. 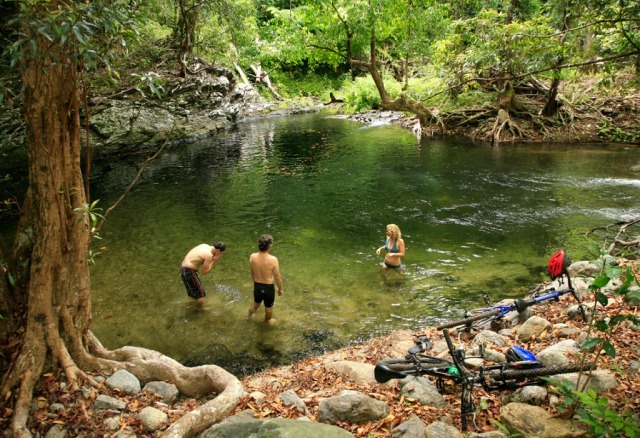 Discover a secluded swimming hole (even has a rope swing). 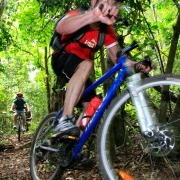 End the ride at Pilba Peak Mountain Bike Park with a chance to test out the race course and downhill track (Grade4/5). 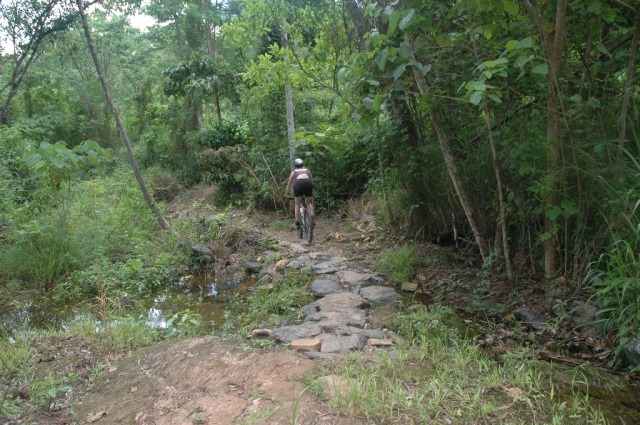 The kids really loved the experience, and the swimming hole adventure was an added bonus.